Mick H got into soul music aged 13 around 1972 after being taken to a local soul night by Paul Robinson. 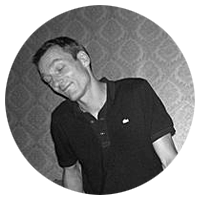 Beeston Unity that was the start of a long soul venture which has took him djing from USA to Asia, Norway, Finland, Germany, Sweden., Spain. He co promotes the rare Lifeline Allnighters for the last ten years with his good bud Andy Dyson. As well as resident. 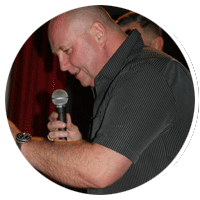 Jock at Cleethorpes & Prestatyn and soulvation weekenders. Started collecting records at an early age still at school, first original was a demo copy of Pointer Sisters „Send Him Back“ in 74 – it took three weeks paper round money to save up for it, £10 was a lot of money in 74 for a record! 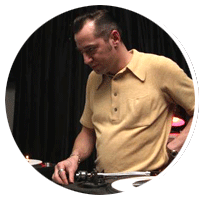 Mick collects all soul 45s from rare 60s to 70s funk, beat ballads etc. Looking forward to his first Hamburg weekend in October. 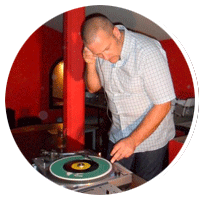 Dave Ripolles has been collecting Soul records of all genres since older friends introduced him to Northern soul in the mid 70’s. 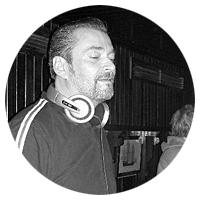 His first dj’ing experiences were in and around Manchester in the 90’s, usually as the warm up, largely playing odd and obscure crossover tunes. From there, the dj’ing bug had well and truly bitten and it was a short step to playing in numerous venues throughout the Midlands and North west of the Uk. Playing two hour sets in the ‘House of Soul’ at the Prestatyn weekenders over a number of years enabled him to play a wide variety of different genres of music and lead to the style of sets that he likes to play today, mixing rare 70’s, Crossover, Modern and funky stuff alongside 60’s and even a touch of disco! 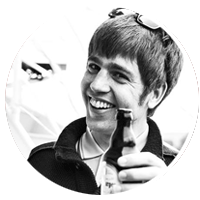 It was after one of these weekenders that he started to get asked to play at some of the European events and since that time Dave has played at the likes of ‘Black Seed’ in Turku, ‘Hip City’ Berlin; ‘Movin’ on’, Barcelona; ‘Oslo soul Experience’; ‘Soul Shakers ,‘ Bamberg’; The Rimini Soul Weekender, and he is currently a resident at the fantastic ‘Runaway Love’ Weekender in Asturias, in Northern Spain each September. 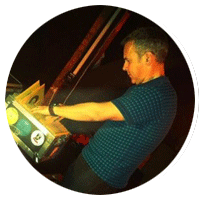 Over the last year Dave has been a co promoter of a the monthly ‘Inner Circle Soul Club’ in Manchester, where a group of local likeminded collectors and Dj’s play their particular brand of Soul and funk to a packed and sweaty cellar bar. Musical revelation: 1987 Curtis Mayfield, playing live at St. Petri Church in Frankfurt/Main. Since 1990 regular attendances at nightly competitive dancing events in North Britains’ former coal mining region, first as a guest, later also as a DJ. Until 2002 co-promoter of the “Turnin’ Your Heartbeat Up” Soulweekender in Nürnberg. Later on spent a couple of years in celtic exile, musically appearances at “Sleepless Nights” in Dublin et al. Tonal home in 60s uptempo Northern Soul, also Crossover and Deep Soul. Two and four quarter step. Punkrock. Apfelwein (Frankfurt’s version of cider). Kickers Offenbach. Not married, no kids, no facebook friends. Musikalisches Erweckungserlebnis: 1987 Curtis Mayfield live in der St. Peterskirche zu Frankfurt/M..
Tanzsportveranstaltung in der ehemaligen Bergbauregion Nordbritanniens. 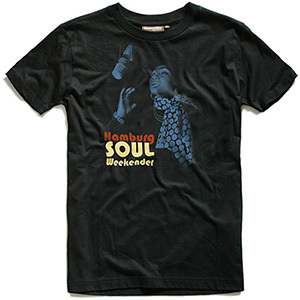 Bis 2002 Co-Promoter des „Turnin‘ Your Heartbeat Up“-Soulweekenders in Nürnberg. Später einige Jahre im keltischen Exil, musikalisches Wirken u.a. bei „Sleepless Nights“ in Dublin. Klanglich beheimatet im 60s uptempo Northern Soul, aber auch Crossover und Deep Soul. Zwei- und Vierviertel-Takt. Punkrock, Apfelwein, Kickers Offenbach. Nicht verheiratet, keine Kinder, keine Facebook-Freunde. 247 Soulie since Edwin Starrs Live performance at the Aachen Scooter Dive 1991. 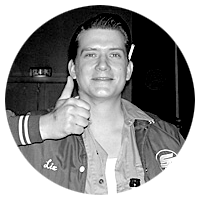 Christopher Stukenbrock aka King Coleman Jr. had his disc jockey debut in the mid-90s at the Unique Club Düsseldorf. 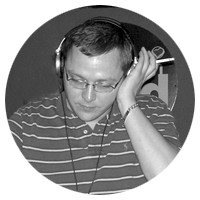 As a R&B DJ, he appeared at the Two Men from Linz, Kings and Queens, Purple Weekend, Orange Peel, Monkey Cave, The Horse, Okefenokee, Club Miaow, Salon Noir and many other gigs. In addition to his collecting mania for Funk & Blacksploitation, Salsoul, Exotica and everything Groovy, his secret passion also belongs to the Scooterist – Sound. 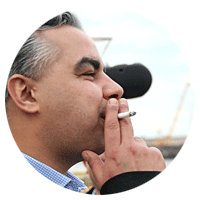 His Soul Niter series „Get on Down“ was running over 3 years in the Ruhrgebiet area. As a rare 50s + 60s R&B DJ and collector applies his penchant especially the Mod R&B..
247 Soulie seit Edwin Starrs Live Auftritt auf dem Aachener Scooter Dive 1991. Christopher Stukenbrock alias King Coleman Jr. hatte sein Disc Jockey Debüt Mitte der 90er Jahre im Unique Club Düsseldorf. Als R&B DJ war er bei den Two Men from Linz, Kings and Queens, Purple Weekend, Orange Peel, Monkey Cave, The Horse, Okefenokee, Club Miaow, Salon Noir und vielen anderen Gigs. Neben seiner Sammelwut für Funk & Blacksploitation, Salsoul, Exotica und allem was Groove hat, gilt seine „heimliche“ Leidenschaft auch dem Scooterist-Sound. Seine Soul-Niter Serie „Get on Down“ lief über drei Jahre im Ruhrgebiet. Als rare 50s + 60s R&B DJ und Sammler gilt seine Vorliebe insbesondere dem Mod R&B. Ada started DJing in the Mid 90ies. 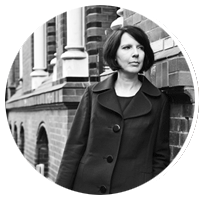 For a few years she did the label management for Hamburg based label Légère Recordings, which is mainly focussed on 60s and 70s styled contemporary bands. As part of the DJ double Come On Soul she co-compiled Come On Soul 1 and 2. These day she is part of 45 Degrees – girls are out to get you! 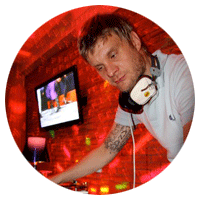 – a regular allnighter with girls only on the decks. Ada hat Mitte der 90 Jahre angefangen aufzulegen. Einige Jahre lang war sie Label Managerin des in Hamburg ansässigen Labels Légère Recordings, welches hauptsächlich 60s und 70s beeinflusste zeitgenössische Bands veröffentlicht. Als Teil des DJ-Doppels Come On Soul co-compilierte sie Come On Soul 1 und 2. Dieser Tage gehört sie zu 45 Degrees – girls are out to get you! – ein regelmässiger Nighter in Hamburg, bei dem ausschließlich Mädels auflegen. Baster wird gerade den Hamburger Gästen als ehemaliger Stamm-DJ der „For Dancers Only“ Allnighter und Inhaber der „Komet“ Musikbar auf St. Pauli bekannt sein. Wenn Baster gerade einmal keine Drinks mixt, geht er seiner eigentlichen Leidenschaft, dem Auflegen von „Oldie“ Musik nach. Er liebt tanzbaren R`n`B, freut sich sehr auf den kommenden Weekender in Hamburg und trinkt nach eigenem Bekunden gern Schnaps! 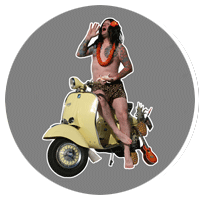 Co founder of the regular nighter “Cole Slaw Club – a Rhythm & Blues Revue”. Jean Chanson’s style varies between soulful Popcorn tunes and snotty Jump Blues – and still he has got a lot more in store. Mitgründer des „Cole Slaw Club – a Rhythm & Blues Revue“. – kann aber auch ganz anders.